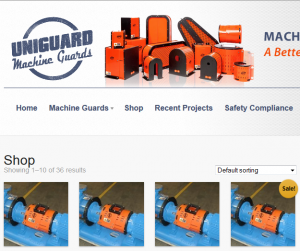 The only guards available online are the standard ANSI and the Standard Kit guards. Custom guards can not be made available for online purchase due to the complexity and uniqueness of the product. Last year, the machine guarding standard 29 C.F.R. 1910.212 was among OSHAs top 10 most frequently cited standards, moving up one spot from where it was the previous year.